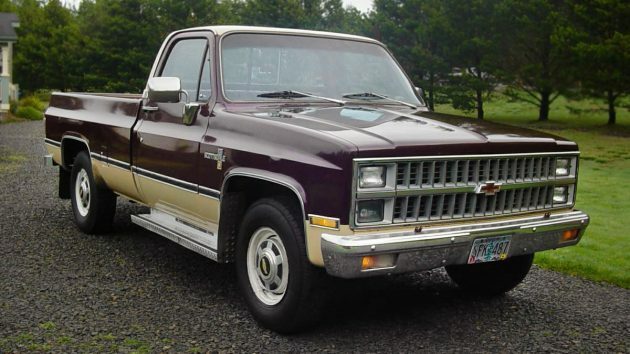 This stunning truck is a 1982 Chevrolet C20 Scottsdale and it’s in surprisingly nice condition. It can be found on craigslist with an almost-too-reasonable price of $3,900! You can’t get much for that price anymore and certainly not usually a truck in this condition. This beauty is in Waldport, Oregon, right on the Pacific Ocean and about 100 miles southwest of the capital in Salem. 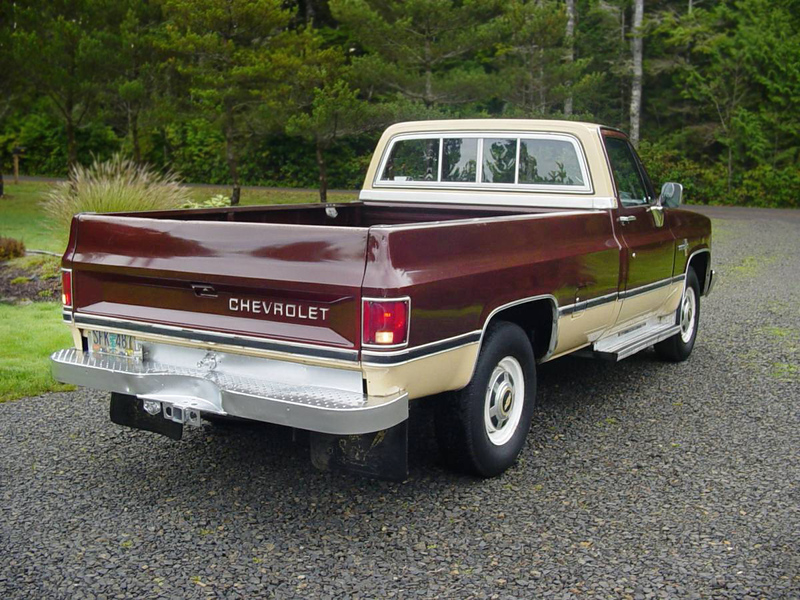 The Scottsdale was the mid-trim level for Chevy trucks and this one is in fantastic condition. I fully expected to see another couple of thousand dollars on this price. 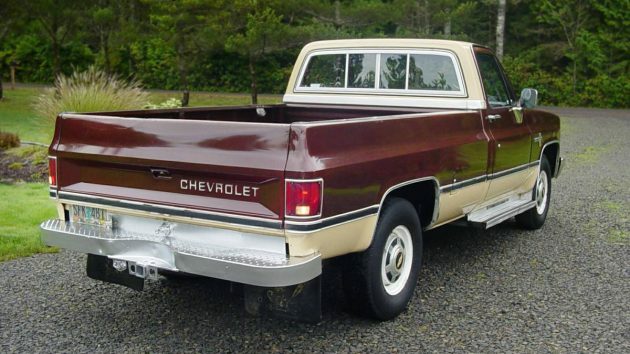 The C20 designates a two-wheel-drive, 3/4-ton pickup. The seller mentions that the windshield has a crack in it and for $130, plus shipping, and maybe some cussing, you could put one in yourself. I would probably hire that sort of job out, paying the extra $100 for a pro to do it, but that’s just me. I expected to see at least some rust here, but the only thing I noticed were a couple of clunks on the top of the tailgate. The bed of the truck looks great, it must not have been heavily used. Maybe this truck was just used for towing duties? This Chevy still wears its original paint, pretty amazing. There is a bit of crazing in front of the rear wheels, I’m guessing that it may have had some sort of chrome or aluminum rock shield on those areas. This truck has power steering, power brakes, cruise, and dual tanks; no AC, unfortunately. The owner has sure been kind to this truck, that’s nice to see. Sometimes these things are beat up and abused like they’re just a machine. Wait a minute, they are! Well, you know what I mean, it takes a special person to care about their vehicles and to maintain them. This one looks like it has been very well maintained and cared for. It doesn’t look like it has 95,150 miles on it to me. I would have guessed maybe half that amount of miles given the nice condition of this truck. 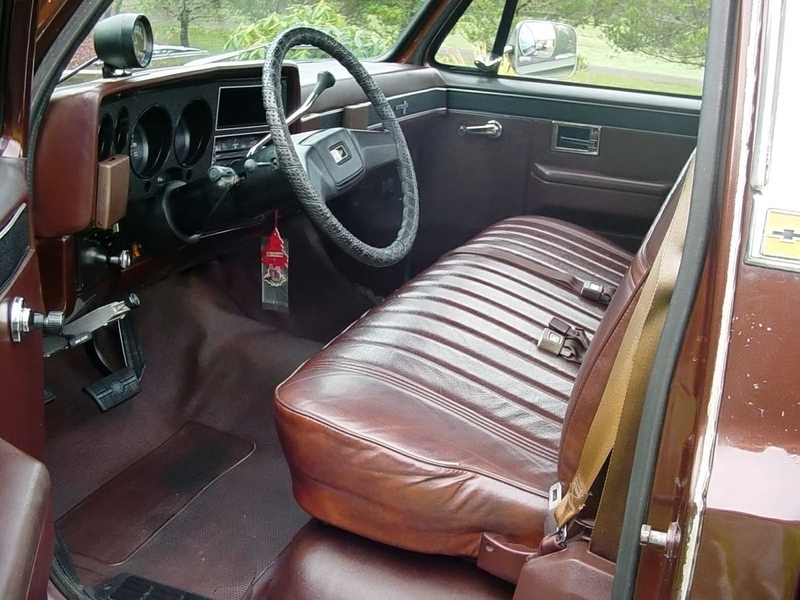 The interior looks almost like new, other than the stick-on (hopefully) fold-down cup holders on the dash and the aftermarket tach mounted on top of the dash. 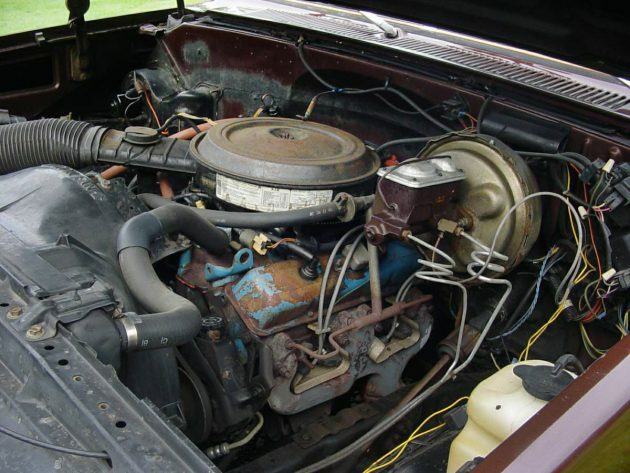 The 350 V8 looks high and dry and if it wasn’t for the missing paint and surface rust on a few components, it would be as much of a standout as the rest of this truck is. This one has a small exhaust leak when it’s cold but that supposedly goes away once it’s warmed up. That’s something that I would want to fix, but I don’t know if that would be too high on most others’ priority list. I’m guessing that this engine is the 165 hp version, which was on trucks up to 8,500 GVWR. There are new plugs, wires, cap, and rotor, and the timing was set; there is also a new battery. This really looks like a great deal to me. 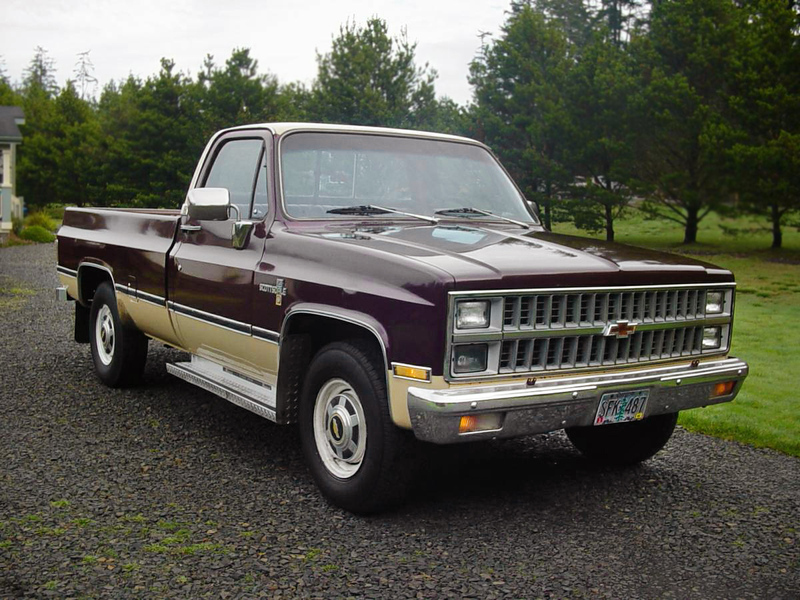 You just don’t see rust-free trucks from this era anymore, and if you do they usually aren’t this nice and priced under $4,000. Is this one a good deal or have you seen others in better condition for less?